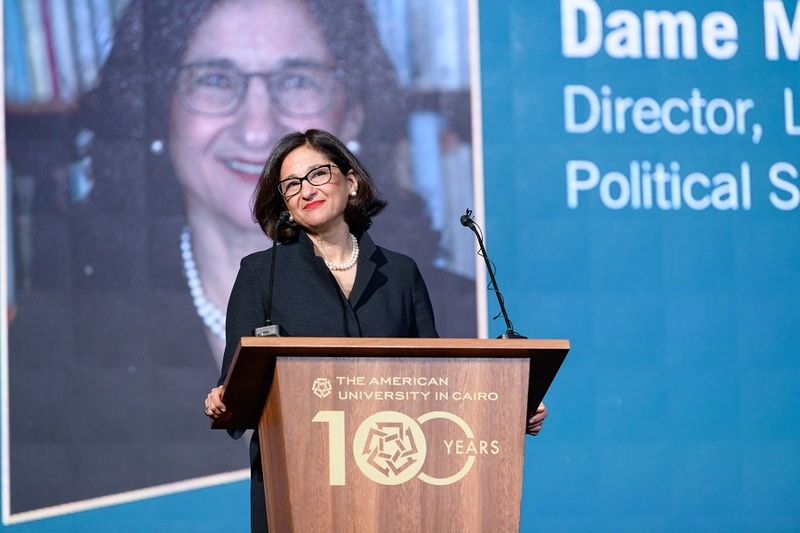 Nemat Shafik, an economist and the director of the London School of Economics and Political Science, during her recent talk at the American University in Cairo (Photo: AUC). CAIRO—Nemat Shafik, an economist and the director of the London School of Economics and Political Science, believes that the path to professional success depends not only on luck and diligence, but also on access and opportunity. “I believe that talent is everywhere, but opportunity is not,” Shafik said in a lecture on Global Leadership in a Changing World that she gave at the American University in Cairo in March. “Your place and surroundings are very helpful in your career,” she said. “Egypt has millions of people with talents and abilities, but they have not had the opportunity” to get a quality education. Shafik’s belief in the importance of educational and career opportunities led her to specialize in international development, focusing on ways to provide financial support to poor countries and help people who did not have access to a quality education. Shafik—who is sometimes called “Dame Minouche,” using her nickname and the honorary title she was awarded by Queen Elizabeth in 2015—holds United States, United Kingdom and Egyptian citizenship and has served in a number of academic, government and policy-making positions. She became a vice president of the World Bank in 2004, and at age 36 was then the youngest person ever to hold that position. From March 2008 to 2011, she was permanent secretary of the British government’s Department for International Development. She later served as deputy managing director of the International Monetary Fund, where she contributed to bailout programs for Greece and Portugal. In 2014, Shafik became a deputy governor of the Bank of England, but resigned that position two years later, when it was announced that she would become the next director of the London School of Economics. She has also chaired several international advisory groups on charitable work, including the Consultative Group to Assist the Poor, the Energy Sector Management Assistance Program, the Global Water and Sanitation Program, the Cities Alliance and the Global Corporate Governance Forum. Shafik has been director of the London School of Economics since September 2017 and is the first woman to hold that position. “Without the good educational opportunities my family offered me, I would not have reached this status,” she said in her recent talk in Cairo. Shafik was born in Alexandria, Egypt, in 1962, before she traveled with her family to the United States. She earned a bachelor’s degree in politics and economics from the University of Massachusetts at Amherst, then a master’s in economics from the London School of Economics and a doctorate from St. Antony’s College at the University of Oxford. She held academic appointments at the University of Pennsylvania’s Wharton School of Business and at Georgetown University’s School of Economics, in Washington, D.C. She was selected by Forbes as one of the most influential women in the world for two consecutive years. Still, Shafik’s career path was not an easy one. 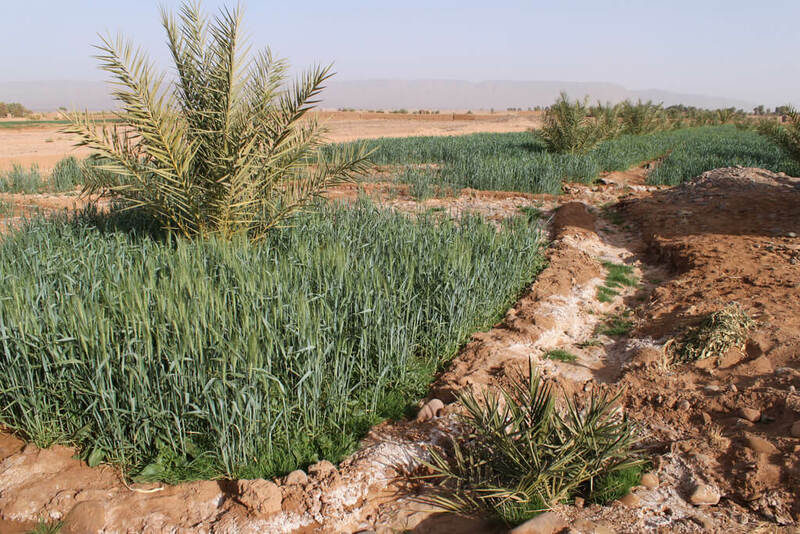 Shafik resides in Britain because of her professional and family life there, but she visits Egypt several times a year. Physical Education: an Opportunity for Women?